Please inquire for availability. 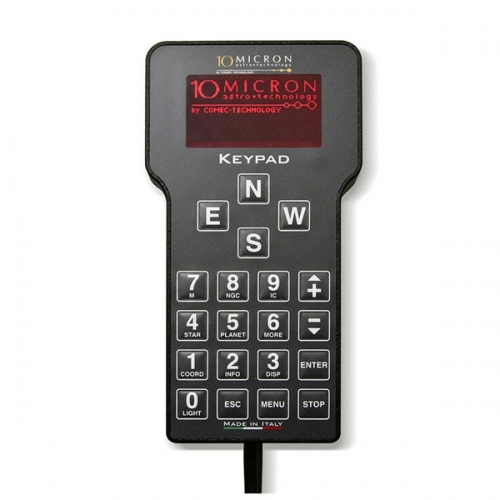 Delivery times are dependent on 10Micron production schedules and pre-production sales. Arrangements can be made to take a deposit on the mount at the time of order rather than paying the full amount, depending on the predicted availability of the mount at the time of order. 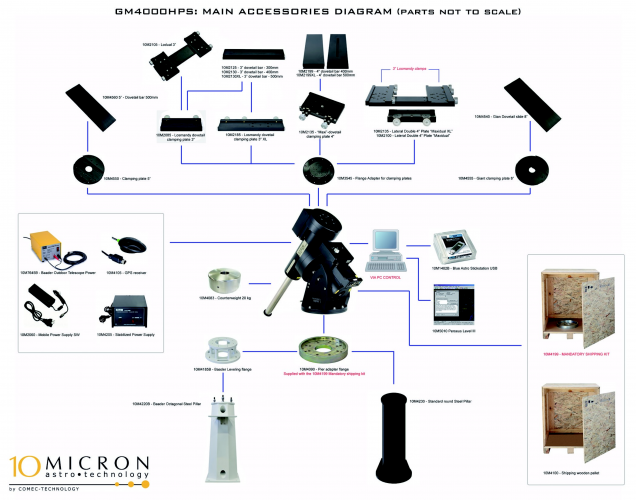 We cannot sell 10Micron products to customers outside of the US. Payment by check or money order only. Use of a power supply other than the one(s) supplied by 10Micron will void the 2-year warranty on the electronics if a power supply malfunction results in damage to the mount electronics. 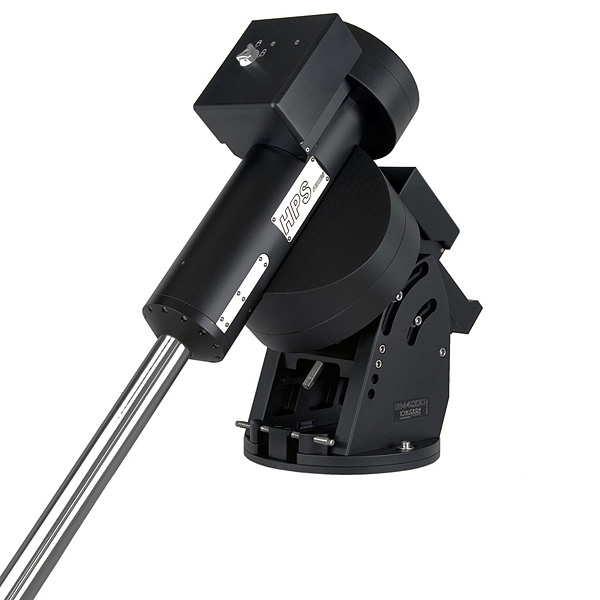 The availability on the market of more and more advanced and flexible astronomical imaging systems has opened new windows to the sky. Today, ultra-high definition and ultra-high speed imaging is within the amateur's reach far more that what was predictable ten years ago. 10 Micron's products evolved at the same pace over the last 10 years in terms of tracking and pointing accuracy and speed. The HPS series mounts are now at the peak of this process. Every observer knows that when you are under the sky you have little time and each set up operation comes with the risk of compromising the night. Having excellent performance on paper means nothing if many complex set up operations are required before reaching that performance. This is the reason 10 Micron mounts are designed around the user's needs, and not to enforce the mount's way of operation on the user. 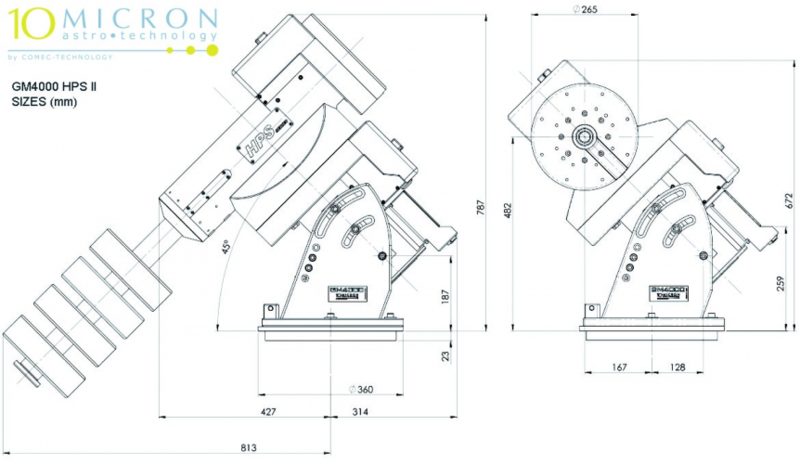 10 Micron mounts are now used in the field as well as in remote observatory sites, in educational observatories as well as in the extreme climates of northern Canada and the Atacama Desert. 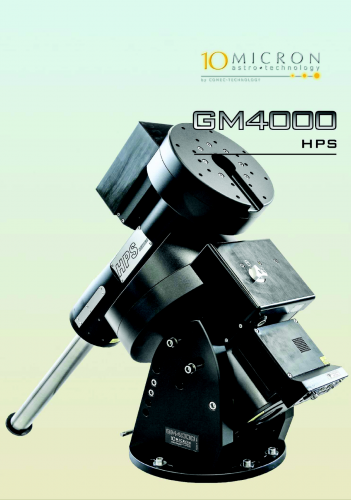 Click below to download the GM4000HPS brochure. NOTE: Because freight shipping is required, shipping costs for the GM4000HPS mount and accessories will not be included at check out and must be determined either before or after the order is placed and charged separately. Shipping costs will include $575 for the required wooden shipping case and pier adapter for securing the mount in the case or $290 for the shipping case alone if the pier adapter has been ordered with the mount. Please contact us for further information. Please see the "Additional Information" page for ordering (payment in full vs. 50% deposit) and warranty information.